Chelsea made official the signing of Gonzalo Higuain, until now a Milan player as a loan from Juventus. The forward, 31, underwent a medical examination in London before certifying his reunion with Mauricio Sarri, the coach with whom he triumphed in Naples. The operation of Higuaín will lead Alvaro Morata out of Stamford Bridge towards Atlético de Madrid, and Krzysztof Piatek, from Genoa, will arrive at Milan, with whom he has already passed a medical examination in the Lombard city this afternoon. "When the opportunity to join Chelsea was presented, I had to take advantage of it, it's a team with a lot of history and that plays in the Premier League, a league where I always wanted to play," said the Argentine. 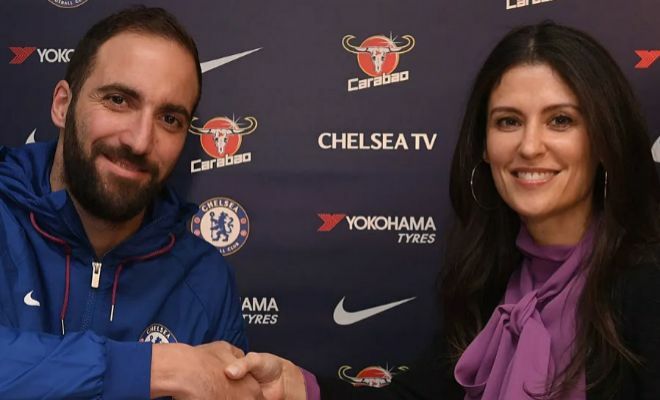 The director of the English club, Marina Granovskaia, admitted that El Pipa was "our number one goal" in this transfer window. "It has not been an easy task for us because of the many parties involved, but we are delighted to have been able to achieve it," the Russian executive added.